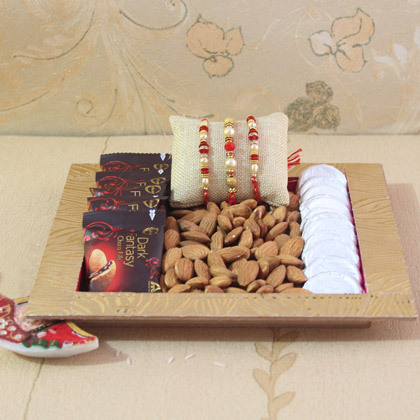 Best thing about the relationship of brothers and sisters is that however hard they fight, they will not allow anything to ruin their relationship. 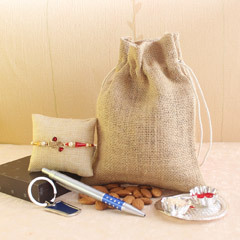 And, you need to be specific about choosing a gift for your brother on Raksha Bandhan. 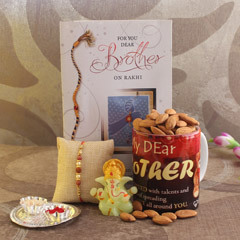 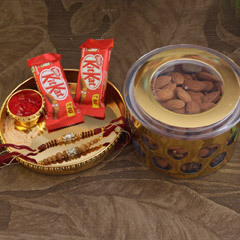 This Rakhi gift combo that our portal’s team has designed will in all ways serve as the most perfect choice. 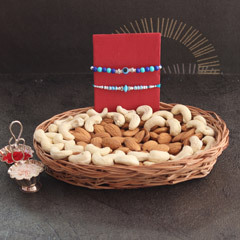 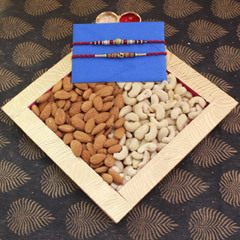 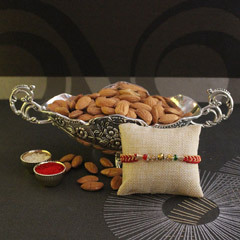 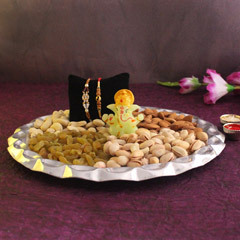 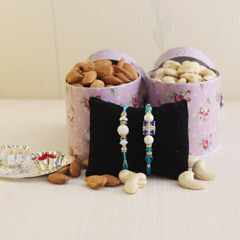 It has two beautiful pearl Rakhis, dry fruits and much more for sweetening up the bond that you share.